Hosted by Rachael S. and Laura M.
Located behind First Bank at the corner of Vernon Street S. Grant Street. Free parking garage right next door. If you haven't experienced eye gazing before you are in for an extreme treat! They say the eyes are the opening to the soul, and that eye contact is necessary to establish connection. I think "they" are right! This experience will include setting an intention, being paired with a partner and a set amount of time will take place where each person focuses on the other's left eye. Our own experience with eye gazing in a retreat setting was life changing. Yet we have done it many times in different ways and had different results! So much has been written on the topic, and we invite you to explore! While this can be used to strengthen our ability to make eye contact, it can also be a spiritual or divine experience. 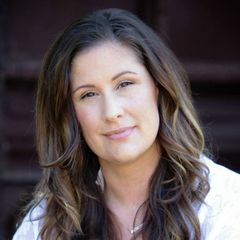 Laura's Experience: "As a energy medicine practitioner I think it is a way to connect with another human being energetically. I have seen loved ones of my partner, and been able to accurately describe who I saw." Rachael's Experience: "Connection with others was difficult for me before experiencing my first eye gazing event. After experiencing the power and connection of eye gazing I can't get enough!" Bring layered clothing, a water bottle, and a notepad and pen if you wish. Bring a sense of adventure, and a pat on the back for going out of your comfort zone...we promise you will not forget this!